Break Free of Pains, Aches & Discomfort. Premium Topical Pain & Inflammation Cream. Powered By: CMO + MSM + Peppermint + Aloe + Shea Butter. NEW: Slim-Line Jar. Same 4 Ounces, Now In a Slim-Line Jar For Easy Transport. Pain Anywhere In The Body. Painful, Itchy, Inflammatory Skin Issues. Absorbs In Seconds With No Harsh Smells & Is Non-Greasy. High-Quality Cream, Fortified With Shea Butter, & Aloe Vera. 100% Paraben-Free. 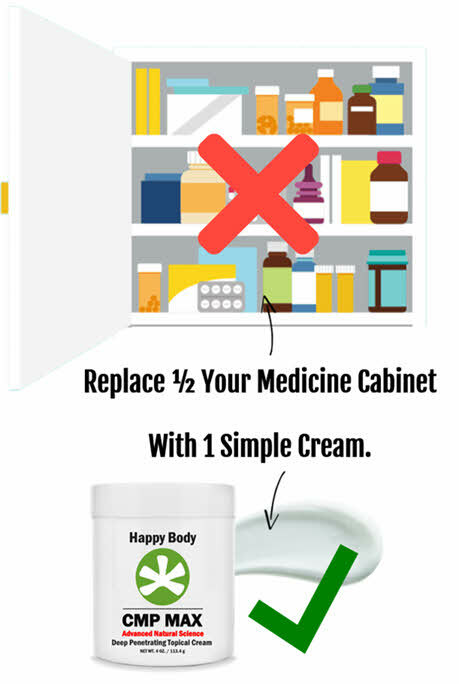 Replace 1/2 Your Medicine Cabinet With Just 1 Simple Cream! 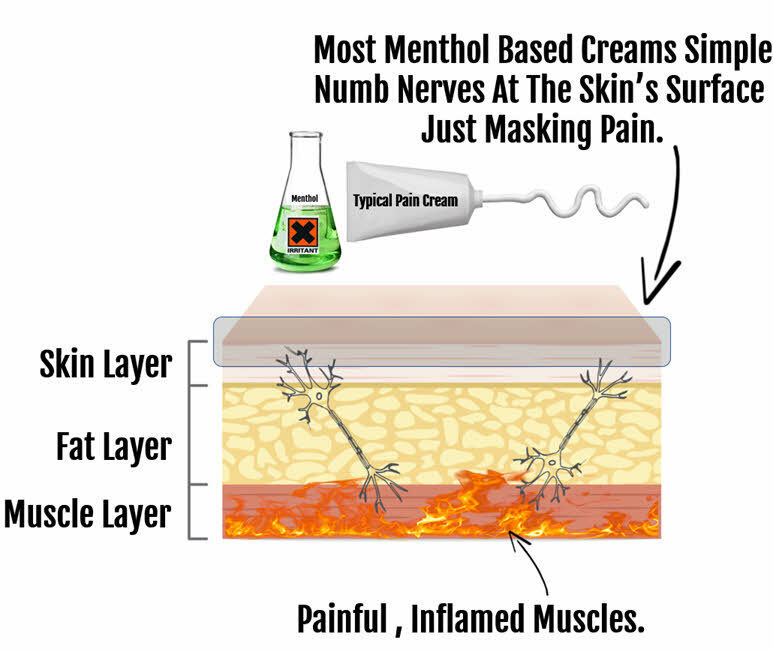 Most Pain Creams Just Mask Pain. Today, most pain creams on the market are ‘menthol-based’. Menthol is a chemical analgesic, that is also a known skin, and lung irritant. Most menthol creams simply numb nerves in the skin. 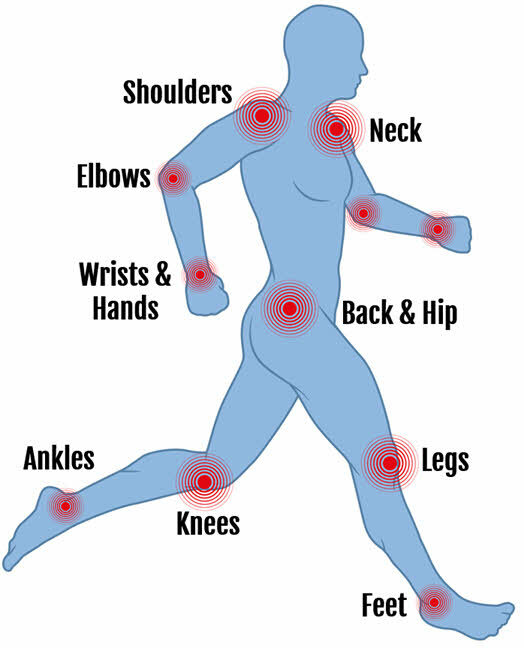 These types of creams are the majority of pain creams offered on the market, & simply mask pain. They typically do very little for the root cause of pain, nor are they very effective for a long period of time. Once the numbing wears off, so those the relief. How Most Menthol Pain Creams Work. CMP MAX – Simply No Other Pain Cream Like It. 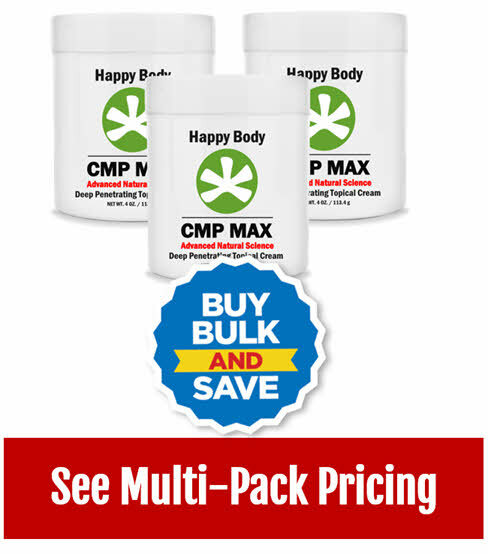 CMP MAX by Happy Body, combines the incredibly powerful & highly effective capabilities of CMO, MSM, & Peppermint (CMP). CMP MAX is a true performance, topical pain relief cream & is made with a proprietary formulation of CMO & MSM. This makes CMP MAX highly effective, rapidly absorbed, deep penetrating & very fast-acting. Premium Quality, Natural & Highly Effective. Uses Only The Best Quality Components. Premium Cream Base Fortified With Aloe, & Shea Butter. 100% Paraben-free Cream Derived From 98% Plant-Based Ingredients. Rated 5 Stars By Over 70% Of Reviewers. 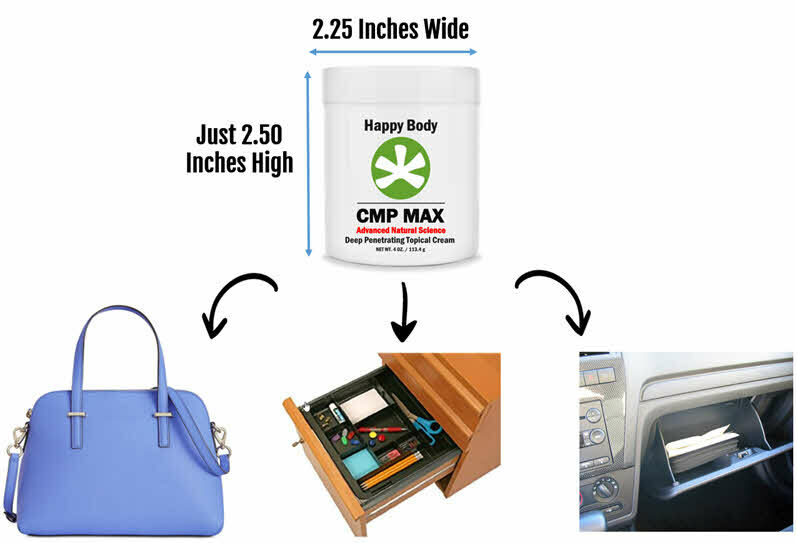 *Reviews and feedback are from verified customer purchases and users of Happy Body CMP MAX and can change over time. NEW: Slim Line Jar For Easy Transport. Click Below To Buy CMP MAX. Click Below To Learn More About CMP MAX’s Formulation. Click Below To See Verified CMP MAX Reviews. The Ultimate Pain Cream. Works In Just Minutes. Also Use For Headaches & Migraines. Works Faster Than Pills With No Side Effects. Use For Inflammatory Skin Issues. 100% Paraben-Free, No Harsh Smell, Non-Greasy. Free Shipping & Simple, No Time Limit Return Policy. Back of Jar & Product Information Panel. $ 29.99 & Free Shipping. Support Hours: 9:00am – 4:30pm Monday – Friday EST (New York Time). 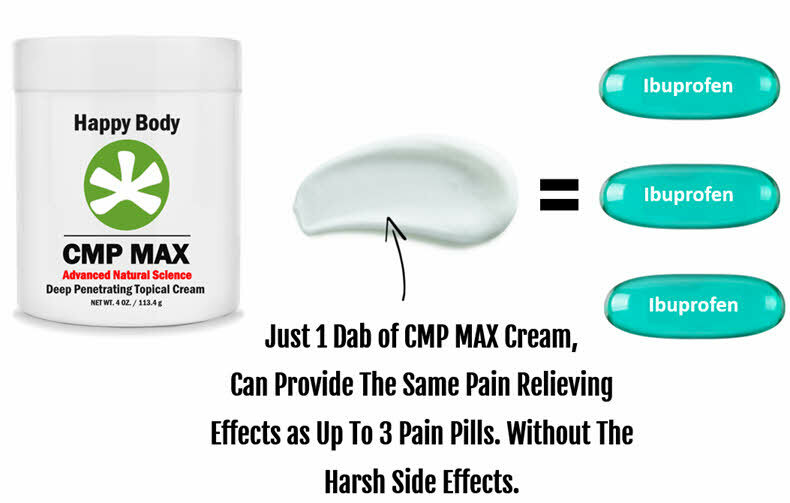 CMP MAX is simply a different type of pain cream. Most pain creams and pain pills simply work to numb nerves to help mask pain. CMP MAX though, works on the root causes of pain. This is why CMP MAX does not have to use masking agents like menthol or similar substances. 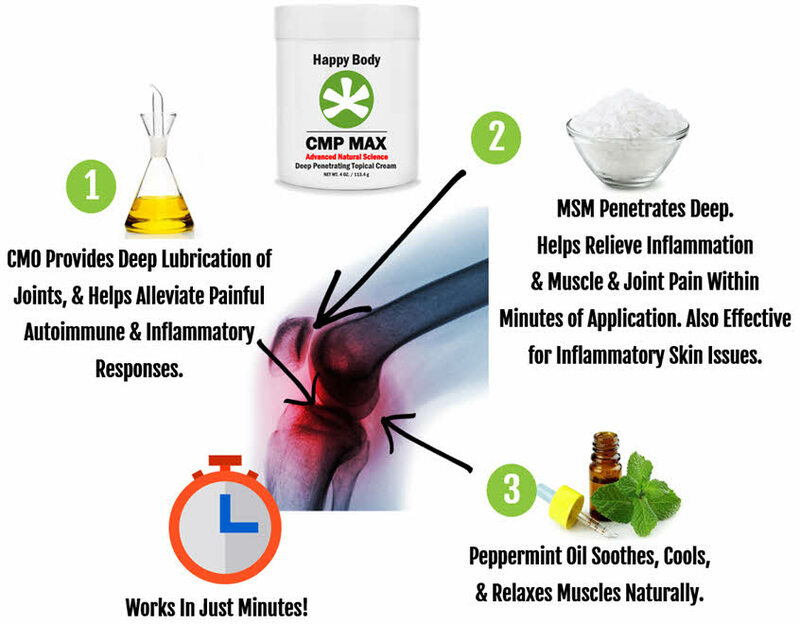 CMP MAX is one of the only creams on the market that utilizes distilled CMO and MSM to impact pain and inflammation at the root with in minutes of use. How CMP MAX Works on Pain. CMO stands for “Cetyl Myristoleate” (pronounced: See / Till / My / Wrist / Oly / Ate). CMO is a naturally occurring fatty-acid ester with some very unique pain relief and anti-inflammatory properties. CMO when applied topically, quickly helps the body limit the inflammatory response. The other very unique property of CMO is that it works as a ‘surfactant‘ in the body. This means that CMO is a highly active, friction-reducing, bio-active lubricant. This action also helps limit pain in aching and sore muscles and joints. MSM is short for “Methyl Sulfonyl Methane”, and is also known as “Organic Sulfur”. 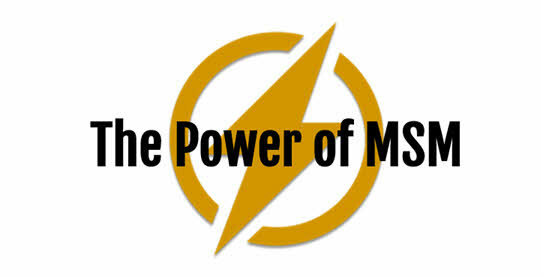 MSM is the fully bio-active form of the mineral sulfur. MSM is highly effective for treating painful aches and inflammation anywhere on the body. Quickly Alleviates Pain Anywhere In The Body. Helps Reduce Cellular Inflammation Quickly. Helps Restore Mobility & Ease of Movement. Unlike most pain creams that mask pain, MSM though attacks pain at its root levels. MSM has the unique ability to penetrate the skin and fat layers very quickly, & go deep into muscles. 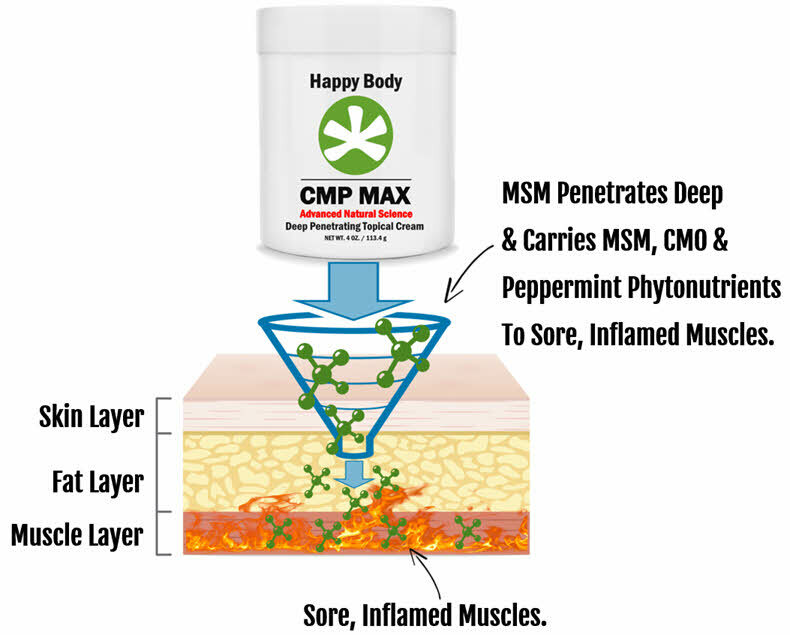 We have also designed CMP MAX to use the MSM as a carrier for CMO & Peppermint’s inflammation-fighting phytonutrients. MSM also helps these compounds to be deeply, quickly absorbed by muscles, joints and tissues in mere minutes. MSM Also Helps Inflammatory Skin Issues. Another excellent benefit of MSM is that it also helps the body with inflammatory skin conditions that create itchy, red, dry, rough skin. MSM has powerful, skin-repairing impacts which are very useful for inflammatory skin conditions. MSM also helps smooth and soften scars and speed the healing of existing lesions. 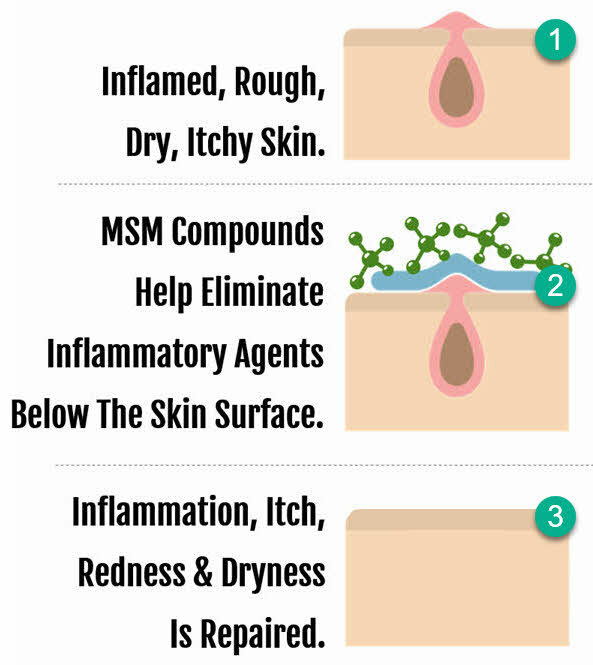 How MSM Works To Alleviate Inflammatory Skin Issues. Pure peppermint oil is naturally derived concentrated oil from the peppermint leaf. When used topically it is a powerful natural analgesic, anti-inflammatory, and also has anti-spasm properties on muscles. Peppermint oil also helps to relieve pain and reduce inflammation, and limits muscle cramps. 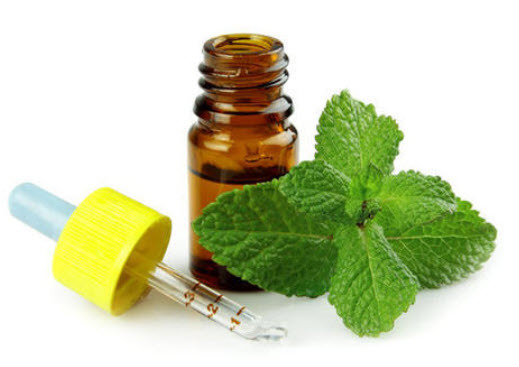 Peppermint oil also has added stress-relieving benefits & aids to increase blood circulation in the body. The Benefits of Peppermint Oil. Helps Healing & Blood Circulation. Helps Headache & Migraine Relief. ‘d By Health & Wellness Practitioners. *The following reviews and feedback are from verified customer purchases and users of Happy Body CMP MAX. Rating breakdown shown is from time of publishing, and can change over time. Reviews and feedback are consumer’s personal experiences. These are for informational purposes only and should not be used as medical information or as a basis for self-diagnoses. Results will vary. I have spent lots on things for pain. This is one of the few ones that really works how they say it will. Works in 15 minutes or under that on the pains I have throughout my body. My wife is now using for herself and is seeing the same. Very good product, am buying my second order. I love this cream! It's worked very well for me so far. I use at work and at home, and for my neck pains, fingers and yes even my headaches, it works as it says, and it's fast. I love the smell, I love (and still can't believe) its natural because it works so well. This is a good cream for pain, in fact it's the best I have used so far, but I still keep feeling tingling in my toes after I use on my feet. I wish I could rid of that tingling, it drives my crazy, my doc says could be related to my blood sugar but its maddening! I deal with terrible pain in my hands and wrists, makes work tough and forget about sleeping through the night. A buddy told me about this cream, and within 20 minutes of using it I was a believer. I keep it on my nightstand and a jar in my truck. It's amazing. Works fast, and makes a huge difference in my pain. When I wake with pain, Im asleep in a few minutes after rubbing some on. There is no real smell so wifey stays happy too. I got this for my dad who has really bad nerve pain from shingles. Every night he had to take pain meds with little relief and it was affecting his sleep badly. I bought this after hearing from my neighbor about CMP. In just ONE application he actually slept through the night with no pain. He can't believe it, am very happy for him and that i tried this. Wow! Simply amazing at how well it works for neck pain and my headaches. No more waiting for ibuprofen to kick in and kill my stomach at the same time. I tell everyone about it and I love the lite smell and rubs in like a dream, it does work in minutes! sciatica and back pain, bigger jar please! Got this cream after having 3 back surgeries in past 7 years. Still experiencing a lot of back and sciatic pain. I now have actual relief, I use it very liberally, and I highly recommend - it works! i just wish they would sell in bigger jars because I tend to use it very liberally. Thank You, Thank you! Unbelievable how quickly this cream has helped with my hip pain and Ive tried every cream and medication known to man with no lasting relief. I was very skeptical but after just 1 use I was sold! The first time in 3 years I was able to sleep without pain. I just stocked up on it! I bought this praying it would take away some of the constant aches in my hands because of arthritis. So far I've found that although it doesn’t take all of the pain away it does get rid of most of it so that I can actually forget about it. Thats a win for me. This is a great product for sore muscles! I use it for my neck pain and it really helps and you can tell it goes in deep. Has a nice lite scent. If you deal with aches and pains try it you will be pleased. I have been using this cream on my thumb that I jammed, twice a day. It really does help pain fast! I noticed the relief right away but wanted to see if there would be a lasting difference and I am happy to say that there is. Don't worry about the small container....you only need a small amount because it spreads nicely. awesome product works great on my neck pain and rosacea, will definitely continue to buy! Q: How Often Can I Use CMP MAX? A: CMP MAX can be used many times a day, and can be applied liberally. In very rare cases if any irritation begins, stop using the cream and return for a full refund. 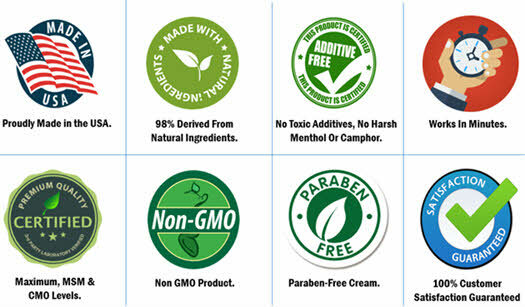 Q: Is CMP MAX Paraben-Free ? A: Yes CMP MAX uses a 100% Paraben-Free cream base. Q: How long does CMP MAX take to start working? A: CMP MAX works on pain typically in 5 – 10 minutes of application on areas pain and inflammation. For inflammatory skin issues the cream works over time with repeated application. Q: How Long Does A Jar Last? 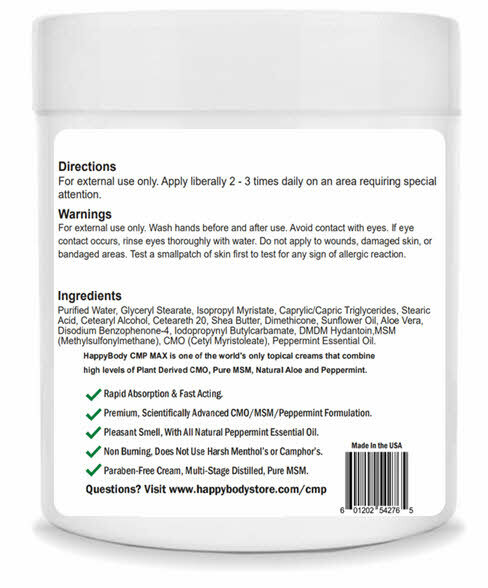 A: CMP MAX comes in a std 4oz jar. This can last a person between 30 – 60+ days depending on use and amounts applied. Q: Is CMP MAX Sold Any Place Other Then Online in the USA? A: Unfortunately CMP MAX is only available in the USA at this time. A: We ship very fast. We ship 5 days a week using USPS, Fed Ex and UPS. It takes about 3 -4 business days to get your product, and depending on where you are, it’s typically faster. Refunds are easy. Just call or email us, we will then initiate your refund process which takes about 7 – 12 business days to show up on your statement or PayPal account. Simple! 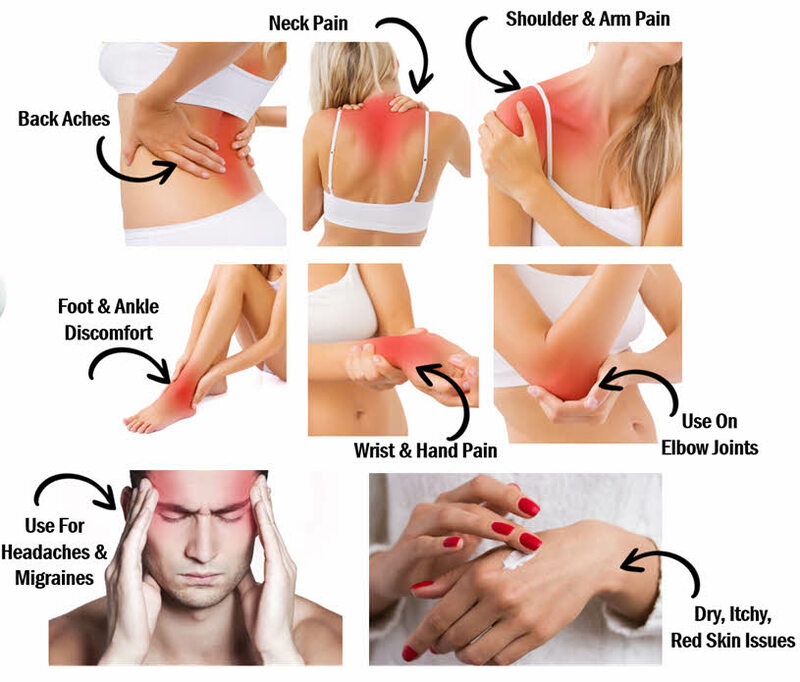 Any Type of Body Pain. Buy Now & Get An EXTRA $5.00 Off! Yes I Want This Deal!